Diamondback is a highly respected bicycle manufacturer located out of Kent, Washington. In its humble beginnings, during the late 70’s, the bicycle company was originally founded as a BMX brand. Over the years, it not only changed names, but the company expanded into other types of bikes like mountain bikes and now their products are successfully sold all over North America and the U.K. due to their loyal fan base. Although the company has had a few different owners, they continue to produce high quality bicycles. Additionally, the company is heavily involved in networking with other cycling organizations to improve the overall cycling community. Today we are going to take a look out the Diamondback 2012 Recoil to see how it stacks up against its competitors. 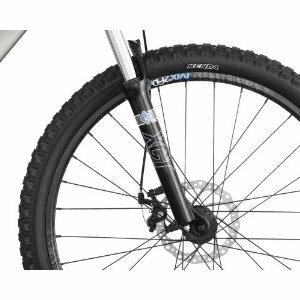 The Diamondback 2012 Recoil Full Suspension Mountain Bike is a great entry level bike for those cyclists looking to get into mountain biking or those cyclists looking to try out a full suspension rig. The bike comes in three sizes for small (16 inches), medium (18 inches), and large (20 inches). All three bikes come in a Titanium color. The bike’s suspensions system allows the product to bounce back from whatever mountain trail or dirt road you throw at it. It truly lives up to the name of “recoil” as it springs back into action with every twist or turn. The bike is built on the foundation of an aluminum frame with a Tuff Shock Coil rear shock. It has 8-speed rapidfire shifters and provides up to 24 gears, which will allow any mountain biker to confidently ride up or down any mountain at any speed. The Tektro Novela disc brakes, which have 6″ rotors, provide cyclists with more than enough breaking power for any mountain climb, descent, or trail. The DB MX260D Doublewall wheelset gives the cyclists a reliable platform to ride without any concerns or worries. The one drawback about this bike is it can be heavy at roughly 25 – 35 pounds. However, it’s built to be tough and take a serious pounding on the rough terrains. Therefore, the weight is only a byproduct of the bike’s necessary components. There’s no fluff or unnecessary parts with this bike. 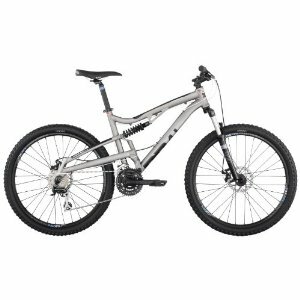 Diamondback has produced another high quality bike with the 2012 Recoil Full Suspension Mountain Bike. The incredible craftsmanship, and superior technology, make this bike a must have for anyone who is entering into the sport for the first time. Despite being an entry level bike it’s a high performance machine that will allow any mountain biker to ride up and down any mountain trail or pass at an elite level. The price is also a welcoming sight to those looking not to spend a lot of money and Amazon.com is currently offering a discount on the bike, bringing the total price down to $650.